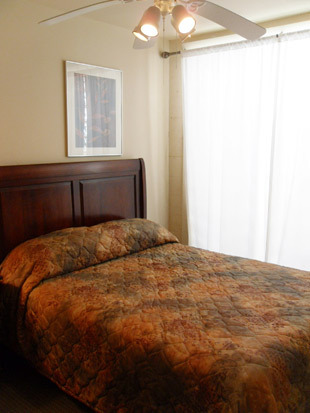 Hotel de L’Eau Vive provides every comfort you look for in a world class hotel. Every suite is being renovated with personal attention to detail and total regard for the needs of people who travel for pleasure and for business. The large size of our suites in our four story historical landmark assures a relaxing, uncrowded stay with personalized service. Our location gives you easy access to every attraction in the city. Mardi Gras, Jazz Fest, the Sugar Bowl, Mississippi River Steamboat tours, Harrah’s Casino, the Aquarium of the Americas, the French Quarter and all of the best restaurants and entertainment in the world are right outside of your door. When your visit requires special needs, like reservations, tours, event tickets, maps and ground transportation, our concierges are resourceful and happy to help with your needs. 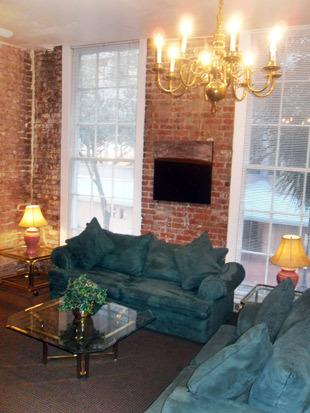 Call today to reserve your suite and enjoy all that New Orleans has to offer. In the middle of everywhere, Hotel de L’Eau Vive offers your most convenient location for entertainment, and business. 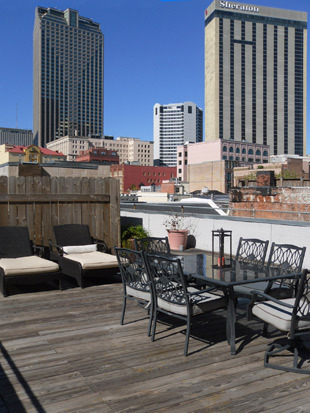 Surrounded by the Aquarium of the Americas, the French Quarter, Harrah’s Casino, The Riverwalk, Canal Place and The Super Dome, every type of dining, shopping, sport, music, event and festival is right outside of your door. We are located near the Mississippi River, so you can board a trolley or a steamboat for a quick tour of the east bank. If your trip is business, this location gives you the Morial Convention Center, the International Trade Mart and the CBD within walking distance. 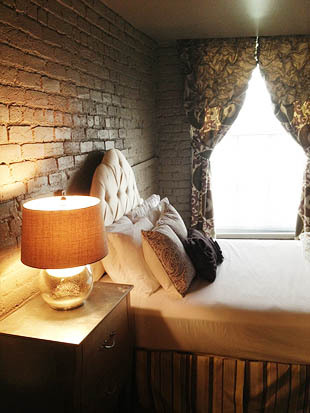 This historical landmark is an all-suite hotel which offers one, two and three bedroom suites. 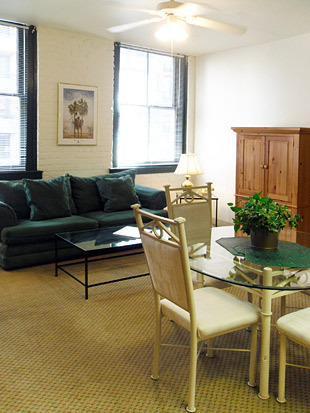 Every suite has a modern kitchen, a dining area and an elegantly furnished living room for group enjoyment. We also feature Penthouse, Presidential and Honeymoon Suites. Plush bedrooms provide ultimate relaxation and you can also order your suite with an oversized, whirlpool bath. 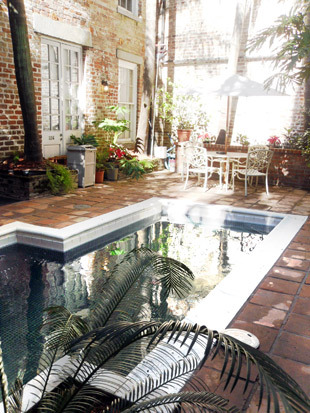 The courtyard, with its small swimming pool, reflects the quiet vitality of European spas. Our lobby is beautifully furnished and all of our employees are here to assist you with personalized service. 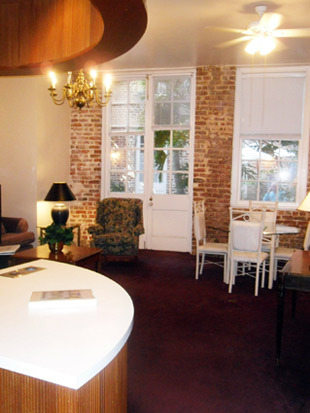 Hotel de L’Eau Vive is here to make your visit to New Orleans both comfortable and convenient.